This exhibition was previously presented in Thessaloniki and in Istanbul where it was inaugurated by his Holiness, Bartholomew I, Ecumenical Patriarch of Constantinople. Additionally, it was presented in Veroia and in Athens where it was inaugurated by his Excellency the President of the Hellenic Republic Mr Prokopios Pavlopoulos. Lastly, the exhibition was held in Syros, Ioannina and in Kavala. The exhibition is accompanied by a 64-page bilingual catalogue [Greek & English]. 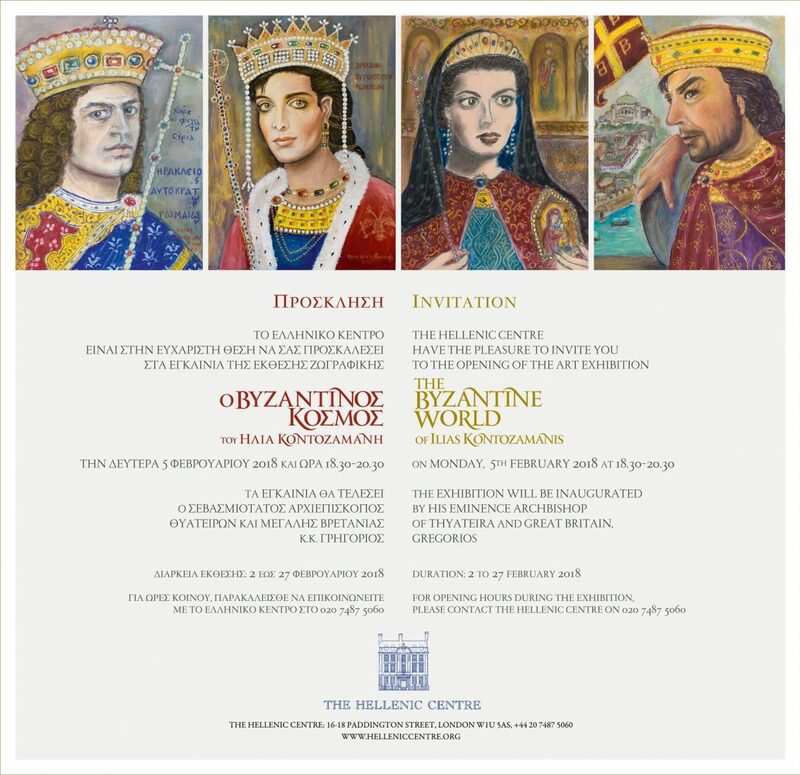 With this exhibition I would like to present an Empire, a thousand-year old and glowing; the Eastern Roman Empire, and carry you along a fascinating and magical journey at those old times, when this Empire was almost the whole world. This journey will begin with our encounter of Flavios Valerios Constantine I, Helen’s son and the transfer of his capital city from Rome to Byzantium, where he established the glorious Constantine Polis and it will be completed with Constantine Palaiologos XI, the son of Helena Dragas Palaiologina.